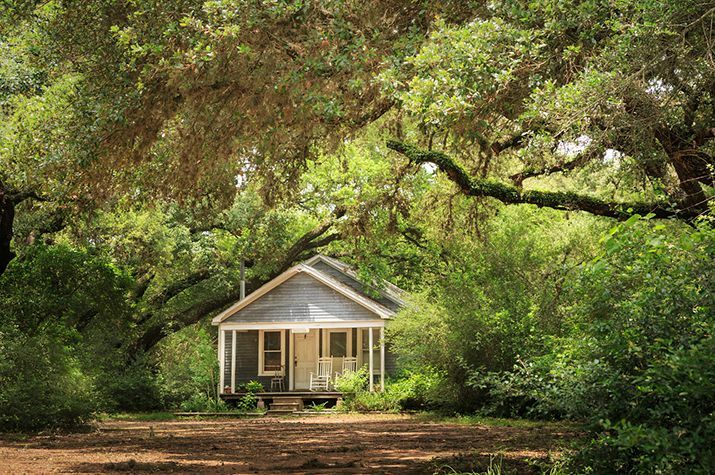 Found and moved from nearby Cat Spring, this quaint early Texas house is nestled in the woods. 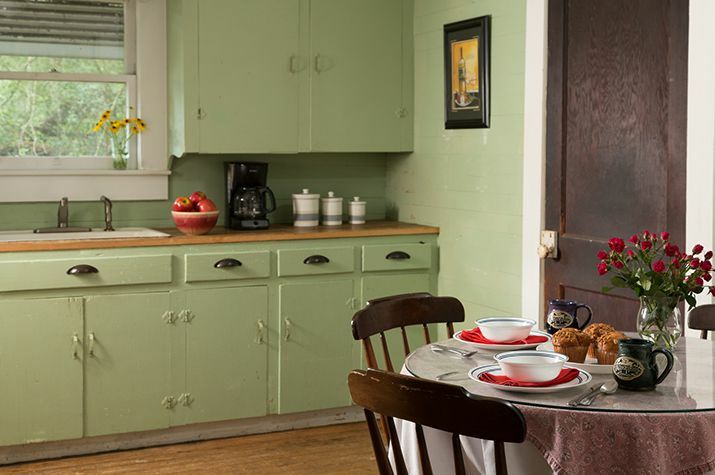 It is one-story, two-bedrooms, one-bath cabin rental in Texas that offers a fully stocked kitchen with pots/pans, dishes, silverware, microwave, coffeemaker, toaster, refrigerator, oven/stove, and for a bonus, a private hot tub secluded in the back of the house. 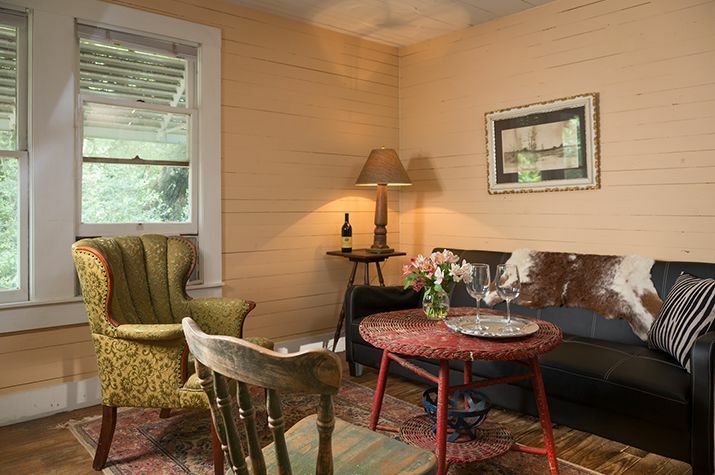 Living room features a wood-burning stove. 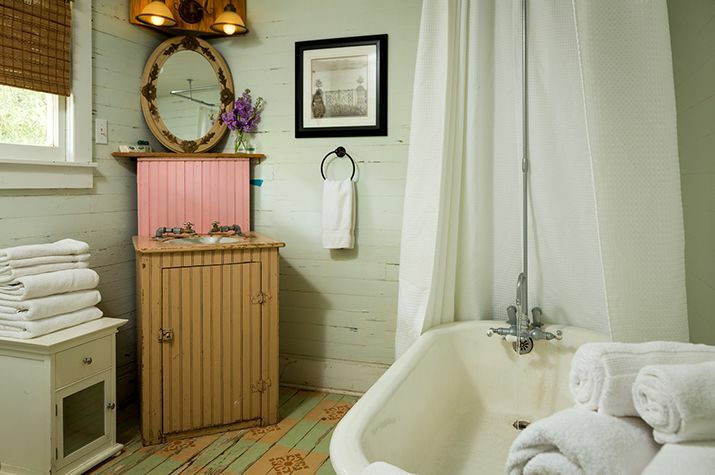 The bathroom features original claw-foot tub that remained in the house. 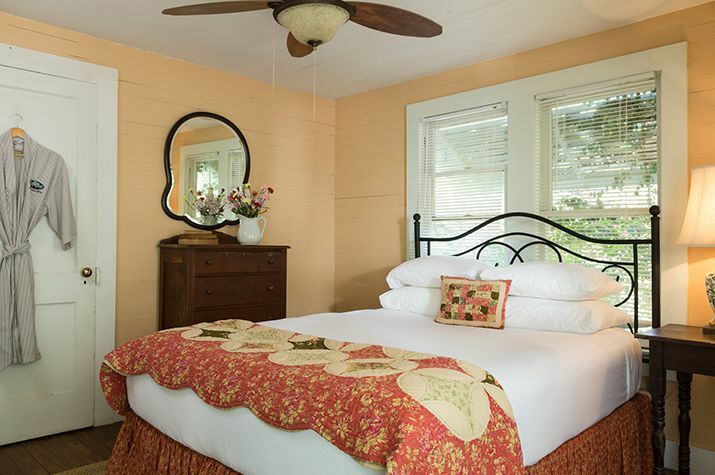 Front porch to sit and wile away your time, have a cup of tea or glass of wine. 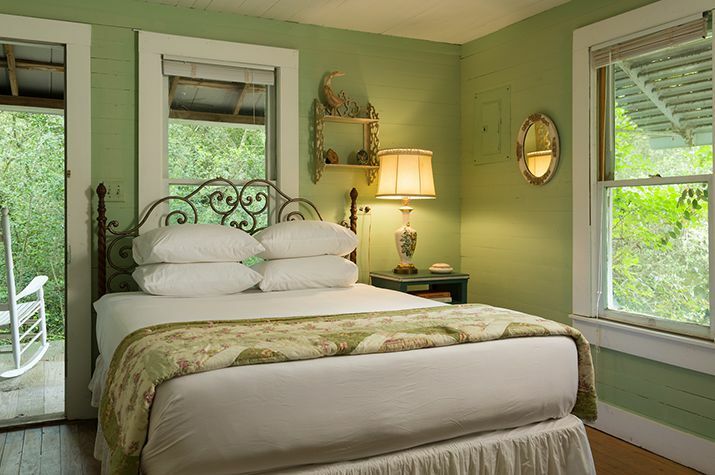 View all of our cabins and Texas bed and breakfast options and book a getaway to remember.